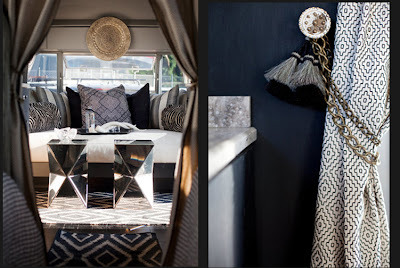 I admire the sensibility with which Rachel Horn employed the concept of eastern nomadic lifestyles into this all American nomad's habitat.
" 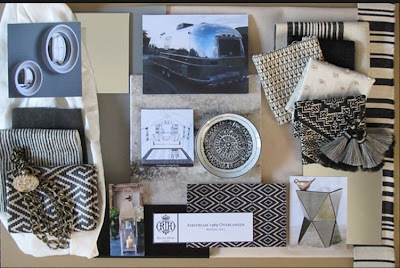 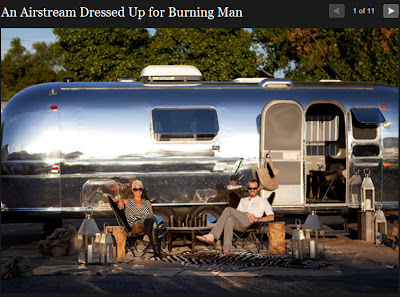 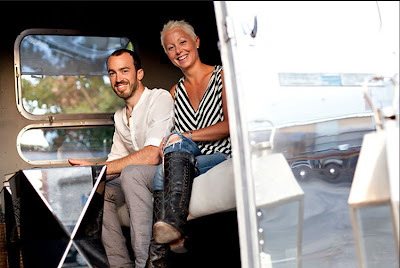 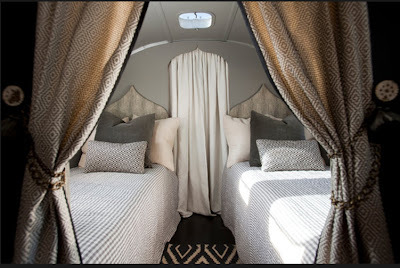 Rachel Horn, an interior designer, and her husband and business partner, Justin Kreizel, renovated a 1969 Airstream to take to the Burning Man festival, which runs through Sept. 5 in Nevada's Black Rock Desert. The couple splits their time between Los Angeles, where they did the renovation, and San Miguel de Allende, Mexico. Credit: Stephanie Diani for The New York Times "